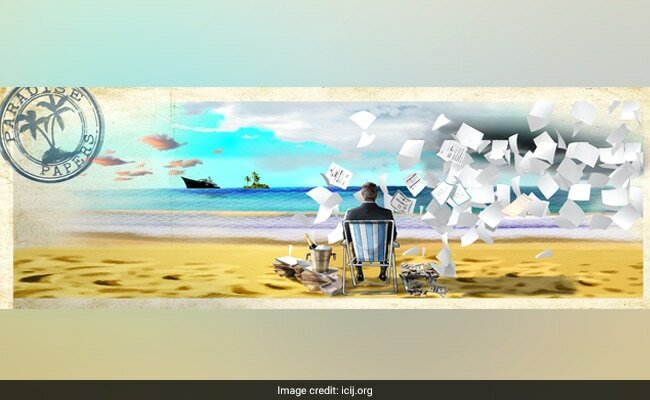 Paradise Papers: The data leak reveals details of prominent individuals from India who have invested in offshore accounts. Paradise Papers: India ranks 19 among 180 countries in the number of names in the list. New Delhi: Financial data leaked from two companies with tax havens across the world has revealed the hidden wealth of the rich and powerful, including from India. The data leak is from Bermuda's Appleby and Singapore's Asiaciti Trust, says the Indian Express newspaper, which has published the first of its investigative reports on the "Paradise Papers", the result of a collaborative global investigation. The documents were revealed 18 month after the Panama Papers, a leak of more than 11 million financial and legal records of politicians, celebrities, companies and others. There are 714 Indian names in the cache of 13.4 million documents named "Paradise Papers", which have emerged just two days before the government marks one year of demonetisation as "anti-black money day". Both sets of data were obtained by German newspaper Suddeutsche Zeitung and were investigated by the International Consortium of Investigative Journalists (ICIJ) working in partnership with 96 news organisations. A bulk of the records are from Bermuda-based Appleby, a 199-year-old law firm involved in setting up offshore companies and managing bank accounts for clients. The Indian Express reports that an Indian company is Appleby's second-largest client internationally. The company has as many as 118 different offshore entities, according to the investigative report. Several corporates and companies being investigated by Indian agencies like the CBI and Enforcement Directorate are Appleby's clients. Globally, the report says, the Paradise papers reveal that millions of pounds from the private estate of Britain's Queen Elizabeth II have been invested in offshore tax haven funds. There is no suggestion that the Queen's private estate acted illegally or defaulted on taxes, but questions may be raised over whether it is appropriate for the British monarch to invest in offshore tax havens. Ties between Russia and US President Donald Trump's billionaire commerce secretary Wilbur Ross are also revealed. The leaks reveal that Wilbur Ross has a stake in a firm that does business with a gas producer partly owned by the son-in-law of Russian President Vladimir Putin. The investigation exposes a Russian firm's alleged investments in Twitter and Facebook. The data reveals offshore interests of more than 120 politicians, including former Pakistan Prime Minister Shaukat Aziz, according to the Express report.